Hello ...my son is 3 yrs old ...started going to n..
Hi Amita Toraskar, You can read the following blo..
Hi Shweta Meena, Please do read our blogs on the..
Hello, I have a son of 4 yrs and 6 months. He is..
Hi Harinder! 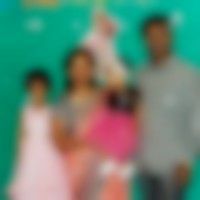 You may read the following blogs and..
hi... my son kavish 3 years 1 month... aur Maine u..
Hi Sonia Grover, Please read in detail https:/..
hello I want to ask about my 5 years old baby. As..
Hi Kumud Gupta, It is common and there are thousa..